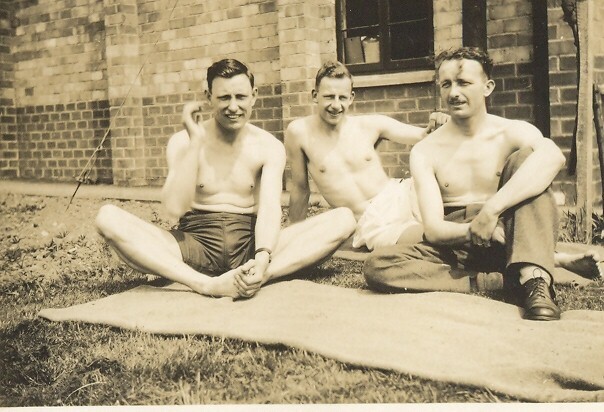 Barnard Castle July/August 1946 – but which camp? Do you recognise the men or the buildings? My father was a POW in Germany and wrote a diary while in captivity. After he returned to the UK he spent some time at a camp around Barnard Castle. I have 5 photographs and they have July/August 1946 Barnard Castle written on the back. On another document he states his last regiment was 54th Tank Training Regiment which from another web site mikefirth.me.uk/deerbolt appears to have been associated with Deerbolt army camp. However, I wonder if you could look at the attached pictures and see if there is anything you recognise. In the picture P24 (below) there appears to be a large greenhouse. My father is the second one in from the right. Have you noticed but there only seem to be 4 people in the camp! Nobody is in the background on what is obviously a sunny summer’s day! My father trained at Catterick in 1941 and was sent to the middle east where he was captured at Tobruk, Libya on 21 June 1942. He started a diary at this point which continued on a daily basis until he got home in 17 May 1945. A photograph taken at Catterick has RAC (Royal Armoured Corps) on his shoulder. I knew he was in tanks and in later notes makes reference to the 4th Royal Tank Regiment. In another document the 54 Tank Training Regiment is mentioned which I think he must have been assigned to after his repatriation. The photographs are dated July/August 1946 Barnard Castle which seems to have been associated with the above. 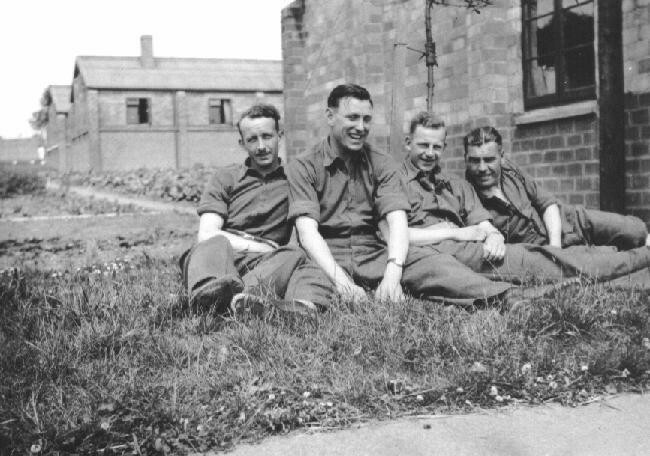 The people in the picture P24 (above) are from the left Bill Hall, Jack Shearing, Gilbert Knott, Johnny (surname unknown but could be Turner who was in joint charge of the POW working camp; or John Frazer Nelson for whom I have an address in the back of the diary but does not seem to get mentioned anywhere else). He was demobbed on 9 Dec 1946, and died in 1979 aged 58. If anyone can help, confirm the location, give some indication as to why he was there, etc I would be grateful. Since I started typing up his diary, it is amazing how much can be found but it also shows how much is unknown. I even found the mine in Freiberg near Dresden, Germany where he worked in 1943-1945. We visited it in June and had a personal conducted tour underground! Its web sites like yours that make diaries like my father's come alive. 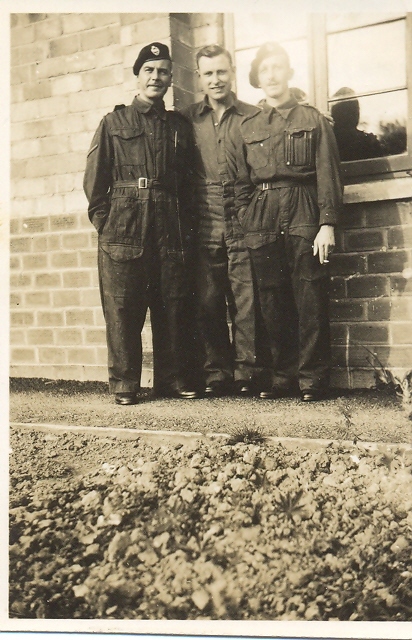 click here to view my father's diary at www.pegasusarchive.org which is a web site full of POW stories but only shows a few of the photographs that I have. A DIARY of life as a prisoner of war in Germany between 1943 and 1945 has been given to a former Army camp. 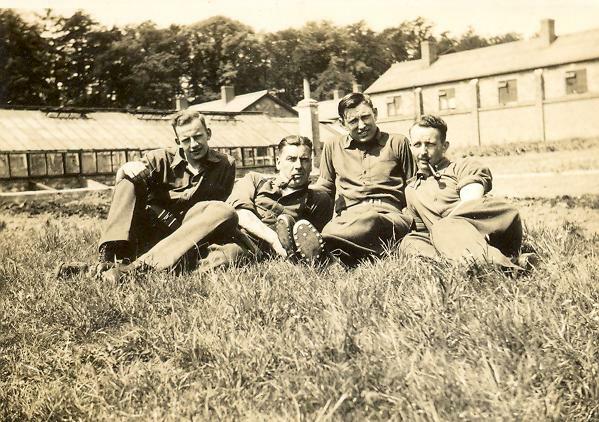 Trooper Gilbert Knott’s colourful record of life in enemy hands has been added to other material at Stainton Camp, near Barnard Castle, showing what happened during and after the Second World War. After he was released in 1945, he was stationed at Barnard Castle before he was demobbed. He died in 1979 aged 58, but his son, Peter, has sent a copy of his diary to Eileen O’Hara, who is leading a project to collect information about the camp. She said: “We are delighted. Mr Knott also sent photographs taken when his father was at Barnard Castle. 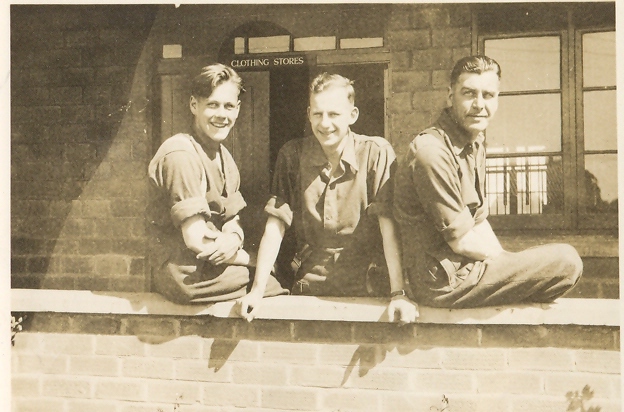 They were probably taken at Deerbolt Camp, but troops based there often carried out duties at Stainton. Gilbert Knott was called up in 1941 and trained at Catterick Camp, in North Yorkshire. He was captured at Tobruk, in Libya, in June 1942. He was kept there for five months before he was taken to Italy. Ten months later, after Italy surrendered, he was taken to a prison camp near Dresden and put to work in a coal mine. ● Oct 28 1943: Reveille 5am. Went to work at 6am down mine. Came up 2pm. ● Nov 3: Refused to work. German sergeant hit two blokes with his rifle. We worked but under protest. Put on punishment rations. ● Nov 8: Placed on night shift 3.15pm-midnight. Three fellows escaped but were soon caught. ● Nov 22: Working 20 hours without a break. My birthday – what a day. ● Feb 9: Toothpaste, shaving soap and one toilet roll issued by Red Cross. I lost on draw, but got a few sheets of toilet paper. He often wrote about poor meals, a shortage of food, freezing conditions, swapping cigarettes for chocolate or other items and seeing shows put on by other prisoners. 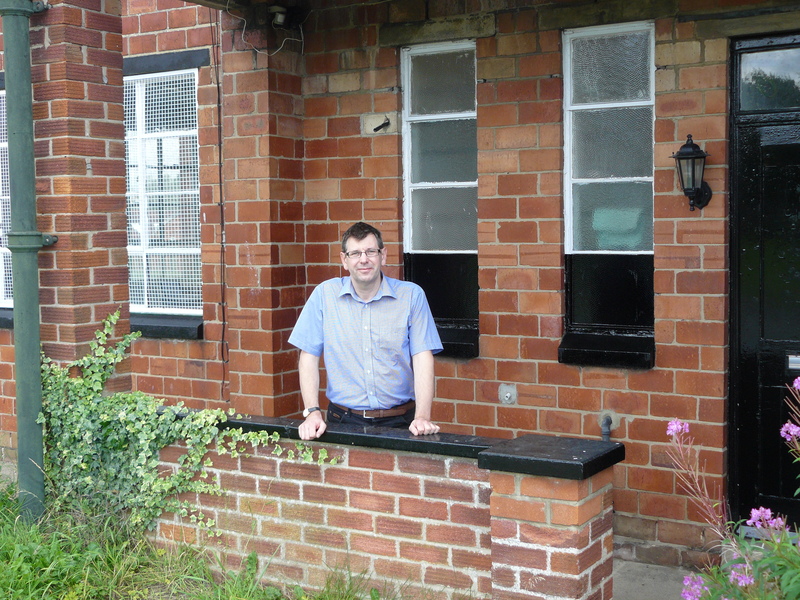 Phil Knott, who lives in Newcastle-under-Lyme, Staffordshire, said he was glad his father’s diary and photographs were useful to the history project. would have got "shopped" if anyone had seen it. somewhere. Somewhere else to go! may help them as several of them were DLI men.